I'm visiting my family in Dallas for a while. I'll be back on Wednesday, but probably won't post until Thursday. As always, you can read all PJ-related posts from the link near the top of the sidebar or visit some of the other fine PJs on the sidebar. 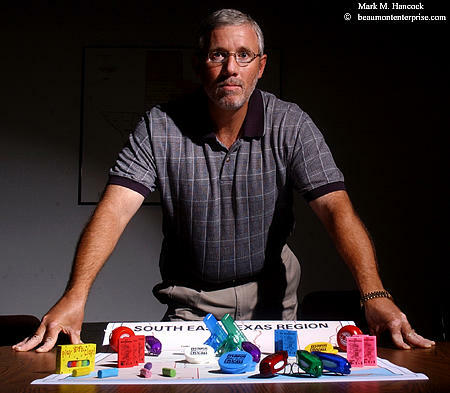 (Above) South East Texas Regional Planning Commission executive director Chester R. Jourdan, Jr. poses for a portrait at his office in Beaumont on Friday, June 24, 2005. 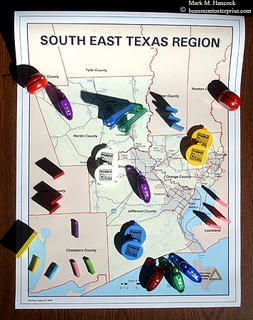 He plans and executes missions to bring grant money to the entire region. The office has various functions and distributes informational novelties (such as yo-yos, chip clips and erasers) to the community (Below). 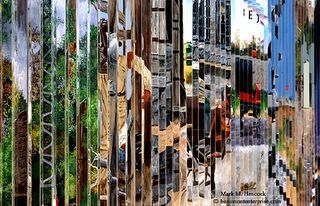 Adam Dean of Oxford, England requests an advanced amateur critique of the images in his portfolio. There is no comment section, so please e-mail the critique to him. There is no deadline. He stated, "I am definitely a keen amateur photographer and not a pro. I really love traveling and would love to develop as a photographer with an idea to one day perhaps doing it professionally as a PJ. I am well aware that I am far from the level of a professional, but would very much appreciate any advice or criticism as to what I can work on to develop my skills. Any critique would be much appreciated." Please review Give and get a critique first. I didn't expect the sidebar to outglass me, but it did. 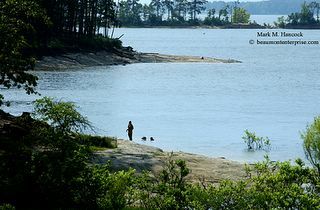 Consequently, to keep everything in focus, I'm leaving the other PJ blogs on the sidebar and have moved the important link lists into entries with a June 1, 2005 date. The information is still here, it'll simply take one more step to get to those linked sections. The biggest advantage is this allows me to put more information in the lists without worrying about how long the sidebar becomes. The other advantage is the other PJ bloggers are higher on the sidebar. I also got to shove my archive further down the sidebar (the darn thing got long over the years - whodathunk). Hopefully this works out best for everyone without confusing anyone too badly. 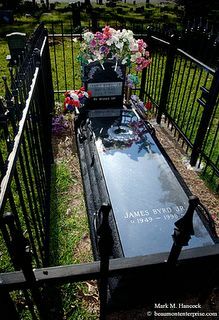 My dad died when I was 15. My brother-in-law John has been my surrogate dad and friend for many years. He helped me through college, opened his house when times got tough, gave me advice, helped me construct projects, debated global politics and history, helped me fix my car many times, helped us move to Beaumont and has always been a nice guy and a mentor. I want him to know all his kindness and generosity is greatly appreciated. If you would like to send a free e-card to your dad, Hallmark provides them. 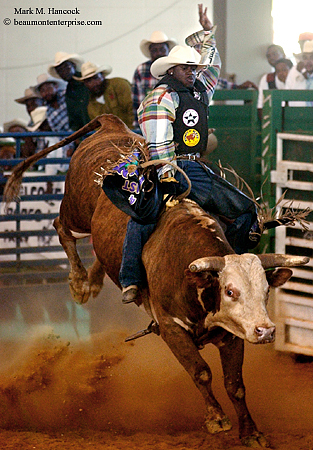 Tyree Kossie rides a bull during the Bill Pickett Invitational Rodeo 2005 at Fairpark Coliseum in Beaumont on Saturday, June 18, 2005. 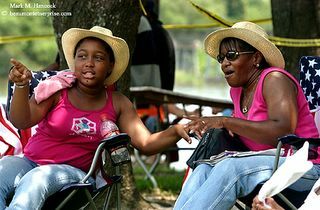 The rodeo also included a Juneteenth trail ride and zydeco dance. This is definitely a rodeo to shoot. Tour organizers are professional and accommodate newspaper and TV deadlines. The rodeo starts early enough to make deadline with nice images. 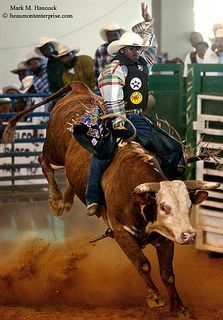 They also start with bull riding rather than end with it. Finally, the administrators actually track participants by number. Please also see Bill Pickett Trail Ride. Ironesha Harrison, 10, (left) points out something to her mother Elizabeth Harrison of Beaumont (right) during the Juneteenth Blow Out at Riverfront Park in downtown Beaumont Saturday, June 18, 2005. Elizabeth Harrison said the event was their traditional first day out of the summer, and they like to match their clothes for the event. Juneteenth is Emancipation Day in Texas. It is a state holiday. Abraham Lincoln's Emancipation Proclamation freed the American slaves January 1, 1863. Unfortunately, Texas slaves were still hard at work in the fields more than two years later when Major General Gordon Granger arrived in Galveston on June 19th to spread the news. 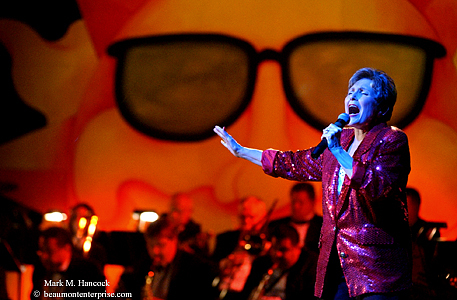 This event is celebrated annually with pageants, parades, carnivals and sporting events. 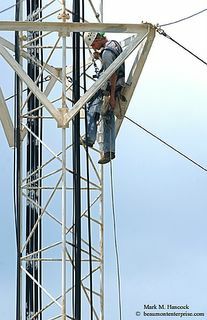 (Right) Justin Allen with the LTS wireless division reaches for a tool while he installs cable on a City of Beaumont communications tower on Thursday, June 16, 2005. (Below) Justin Allen with the LTS wireless division installs cable near the top of a City of Beaumont communications tower. 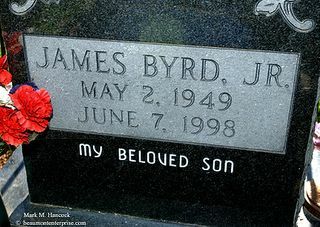 (Left and below) The grave of James Byrd, Jr., a dragging death victim, has a fence around it in Jasper on Tuesday, April 26, 2005. The fence was installed after vandals violated the grave a year ago. Yesterday, I said I didn't think the Lamar University fund raiser was sensitive enough about costumes and song selections. I also mentioned my hesitancy about posting the Civil War reenactment group's Memorial Day activities. This created some debate in the comment section of the post. This is good. Today, I wanted to show y'all how serious racism is in this area. There is no need for racism, jingoism, fanaticism or monopolism. The reflectivity of someone's skin has nothing to do with the person's honor. Where a person was born has nothing to do with what the person can achieve, nor how they can help all of us. Religious zealotry isn't proof of piety or righteousness. Income doesn't determine value. As long as some judge others by their appearance, place of origin, house of worship or bank statement rather than their deeds, then humankind cannot advance. Every person has something to contribute to humankind as a whole. PJs contribute art, knowledge, humor and hold up humankind's failures for examination. Racism is one such failure. It is not a one-way street either. As our society becomes more globalized, it also appears to become more self-protective and greedy. While some level of self-protection and friendly competition is valid, it's illogical to store the wheat while the field goes fallow. Nor does it make sense to starve the many so the few eat well. I don't advocate communism, socialism or any other radical agenda. I'm simply saying we must all sew the seeds of honor and reap the benefits together. Creating illusionary us vs. them situations to shift blame isn't constructive. It's destructive and needs to stop. We must all accept responsibility for our actions. We must also try to correct problems within our society. This means we must also hold others accountable for their actions through our images. I've been dumbfounded in recent years by the tragic repercussions of our failure to speak against, understand or even acknowledge historical failures. The problems we now face have been resolved before. Must we allow others to lead us down the path of failure again? All the answers are contained within history books. Possibly racism is problematic to only this small region. However, I suspect it is not. I see a strong push across the planet toward several self-destructive avenues: racism, jingoism, religious fanaticism and monopolism are all roads to separation and alienation. I believe we, as photojournalists, must document – at the least – the futility of these actions. We must also document those rare, honorable few who are willing to cling to the belief that we must help each other. None of us got into this field because we wanted to get rich. We sweat and bleed and burn and some even die to make the world a better place for everyone. Somehow, the visual priority has shifted to the easy targets. It's much easier to show starvation in Africa, dangerous religious exuberance in Palestine, corrosive nationalism in Korea or outright greed in Columbia than it is to show it in a PJ's hometown. It's much easier to show the practiced smiles of actors and socialites than it is to show the quiet honor of a person hard at work. I challenge you, as photojournalists, to stop taking the easy route. 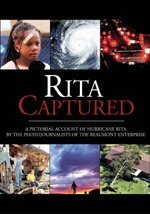 I challenge you to create a dialog with your readers about the problems surfacing in your community before it's too late. When you can do something to prevent a tragedy, do it. When you can't, document it. Otherwise, we are doomed to relive history's failures again. 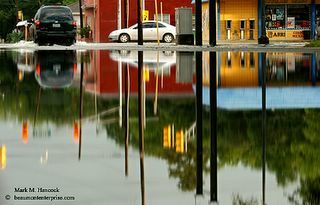 Cars power through flooded streets near the corner of Calder Avenue and Fourth Street in Beaumont on Wednesday, June 15, 2005. Brooke Thibobeaux, 4, and Joeseph Seymoure, 4, play in the splash playground at Pine Street Park in Beaumont on Wednesday, June 15, 2005. 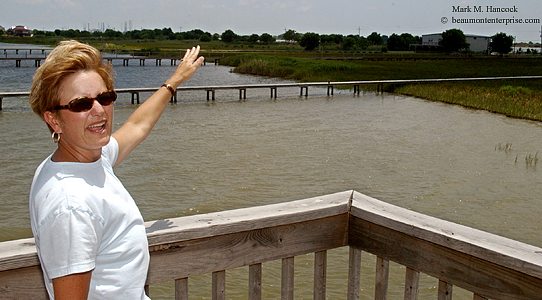 Beaumont resident and Pleasure Island property owner LeAnn Ewing shows how close the proposed liquefied natural gas terminal will be to island residents on Friday, June 10, 2005. 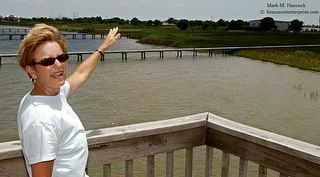 Area residents are concerned over proposals to build the LNG plant across the canal from their Port Arthur homes on Pleasure Island. 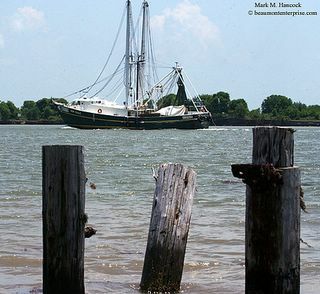 A shrimp boat cruises past the proposed site of a new liquefied natural gas terminal across the canal from Pleasure Island. Area residents are concerned about the dangers of a proposed LNG plant across the canal from their Port Arthur homes on Pleasure Island. John Paul James of Port Arthur fishes with shrimp as bait on Pleasure Island in Port Arthur on Friday, June 10, 2005. 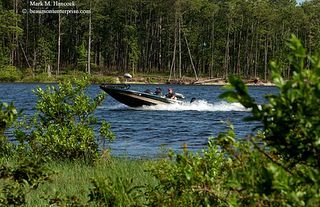 A small area around Sam Rayburn Lake is trying to initiate a special district tax to improve the area's infrastructure. 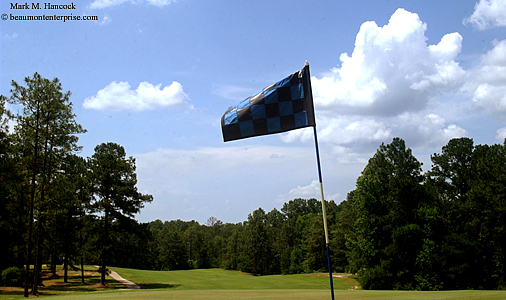 The tax will apply only to restaurants and hotels in the area. 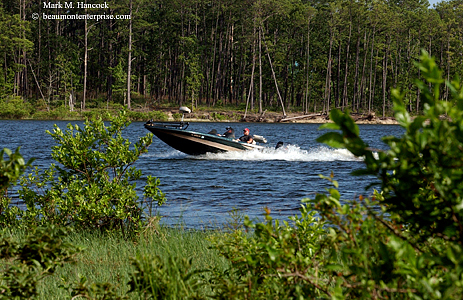 The area hosts about 1.5 million visitors annually. Many visitors come for fishing tournaments and the boundless natural scenery. A family plays on a secluded beach on the lakeshore of Lake Sam Rayburn on Thursday, June 9, 2005. 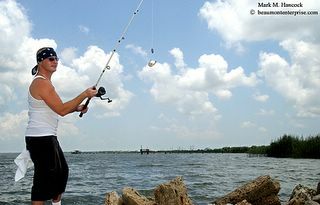 The lake, which has more than 500 miles of shoreline, is the largest lake completely contained within the Texas borders. 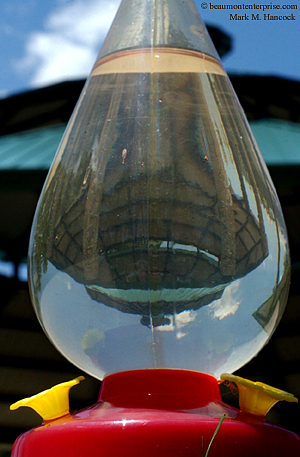 (right) The Umphrey Family Pavilion is refracted through a hummingbird feeder near Lake Sam Rayburn. 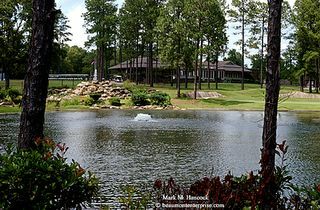 (Below)The pavilion is used for weddings and social functions as well as the rally point for many of the organized bass tournaments on the lake. 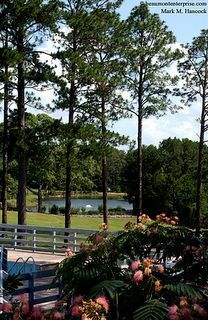 (Above, left, below) Rayburn Country Resort near Lake Sam Rayburn features a swimming pool as well as an award-winning golf course. The resort's clubhouse restaurant will be affected by the new tax. 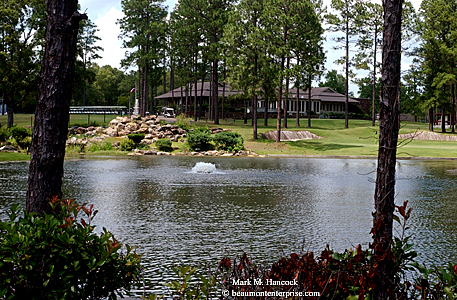 (Below) A butterfly searches for nourishment at Rayburn Country Resort near Lake Sam Rayburn. 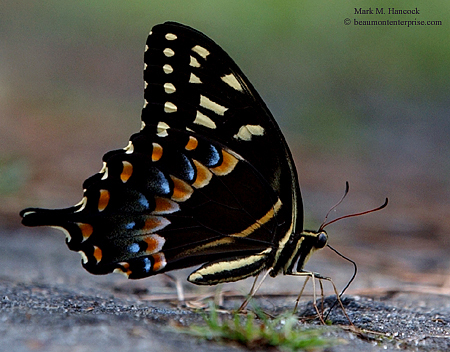 The area is home to various wildlife as well as being part of annual migratory paths of butterflies and birds. 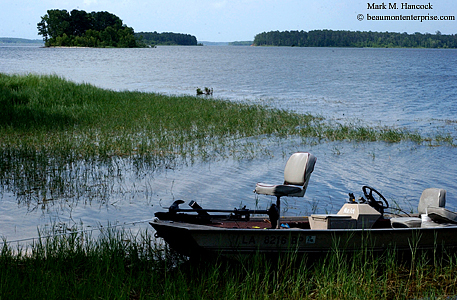 (Above) A private fishing boat awaits a fishing excursion on Lake Sam Rayburn. 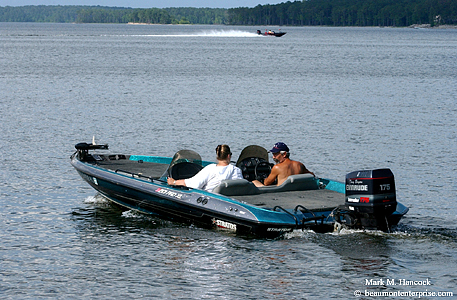 (Below) Brenda Figueroa (left) and Rick Flores (right) of Sun Dancer Rentals test a private boat repair on Lake Sam Rayburn. Please see the YouTube version of this slideshow. Please set your YouTube viewer to 1080p to see the show in high definition. The mural on the Alma M. Carpenter Community Center in Sour Lake was dedicated on Wednesday, June 8, 2005. Susan King and Rick Bolton painted a mural on the building commemorating the town's history through the oil industry. I guessed this image would get killed because it doesn't really show the mural or people. It's simply a cool graphic. However, the page designers used it as a fill to an oversized word "oil" in the story headline. Thereby, the image was used and they had a nifty graphic element. 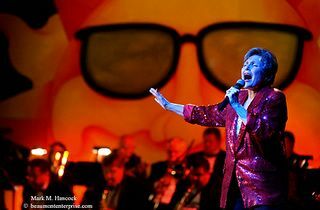 (Above) Wynelle Guidry performs "Le Jazz Hot" during the LU-llaby of Broadway - XIII at Lamar University in Beaumont on Tuesday, June 7, 2005. (Right) Fred Simon performs "Birth of the Blues" during the LU-llaby of Broadway - XIII. 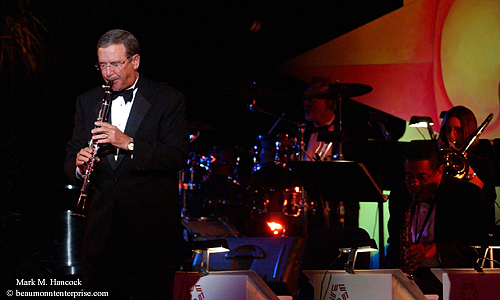 (Below) The LU-llaby Band performs "Don't Get Around Much Anymore" during the LU-llaby of Broadway - XIII. 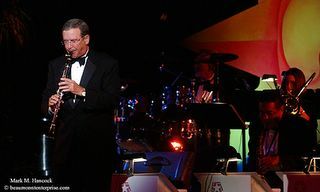 This event has local dignitaries (such as council members and professors) perform Broadway songs to raise funds for Lamar University. Yes, I see the problem with their musical and wardrobe selections. I thought this might be a good prelude to tomorrow's post. 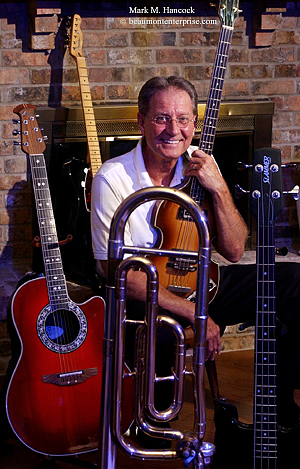 Terry Bourdier poses for a portrait with some of his instruments at his home in Beaumont on Tuesday, June 7, 2005. Bourdier's band, Basement Wall, is inductees this year to the Louisiana Entertainment Hall of Fame. He is also the executive director of the United Way of Beaumont. 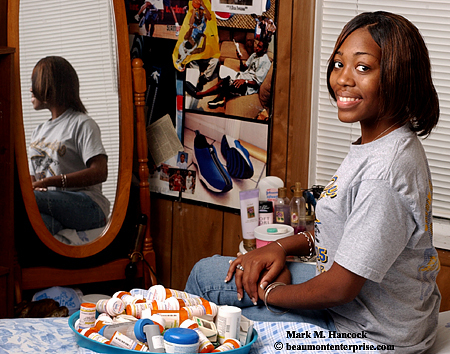 VaShayla LaFleur poses for a portrait with some of her daily medications at her home in Beaumont on Tuesday, May 31, 2005. 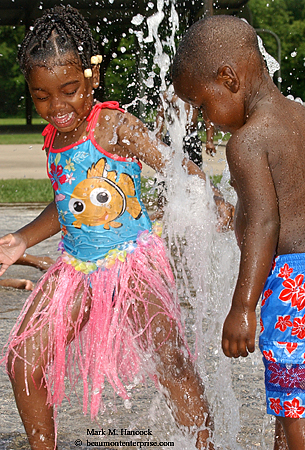 LaFleur has sickle cell anemia and was formerly chosen as a Miracle Child by the Children's Miracle Network. LaFleur recently graduated from Ozen High School defying doctor predictions that she would die by age 15. 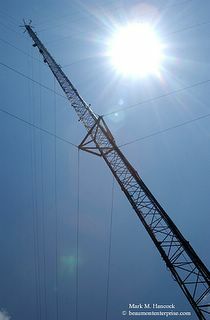 The network held its annual telethon Saturday, June 4, 2005. UPDATE: VaShayla LaFleur passed away on May 19, 2007. My condolences to the family. Marie asked for summer drink recipes. These are my favorites. If you have one, let her know where it is, or post it in her comments section. Get a large plastic or glass container. Clean and slice ripe peaches to fill container. Pour white wine (riesling) or peach Sangria to cover the peaches. Add sugar to taste. Let sit in fridge for as long as you can stand it (a few days). Drink on warm summer days by the pool. Same as above, but use strawberries and regular Sangria or sweet red wine. The fermenting time only takes a few hours. You'll have friends laying on the floor claiming to be "smushed strawberries" in no time (you know who you are). Hudson's Nick Brasuell (No. 5, left) puts a tag on Bridge City's Johnny Dishon (No. 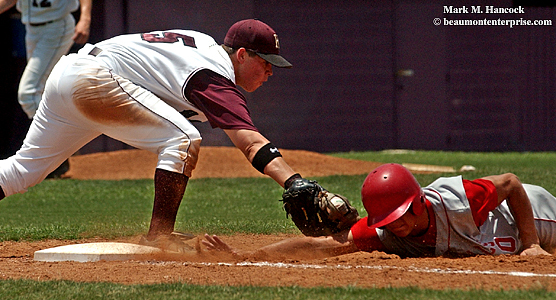 20, right), but the official calls it safe during a Region III finals game at Humble High School in Humble on Saturday, June 4, 2005. Hudson won the second game of the series and forced a third game. Hudson's Aaron Jarvis (No. 14, right) dives onto the plate as Bridge City's Jeff Stringer (No. 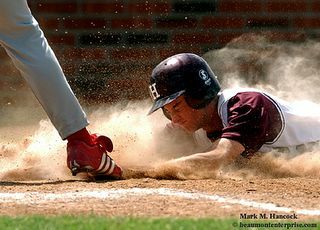 12, left) waits on a missed ball during a Region III finals game at Humble High School in Humble on Saturday, June 4, 2005. Hudson won the second game of the series and forced a third game. Bridge City won the series and advanced to the state championship. 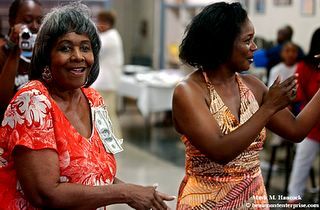 (Above) Gloria Parker (left) and former employee Lynn Zeno (right) dance during Parker's retirement party at Envogue Hair Studio in Beaumont on Friday, June 3, 2005. (Below) Gloria Parker (right) talks with her son Jordan Burton (left) during the retirement party. 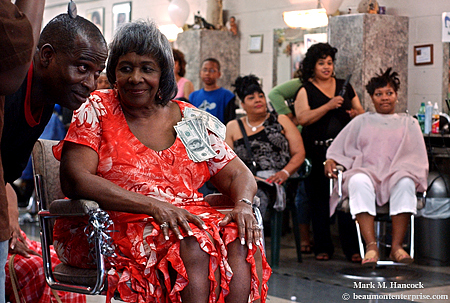 Parker was retiring after 55 years of cutting hair in Beaumont. 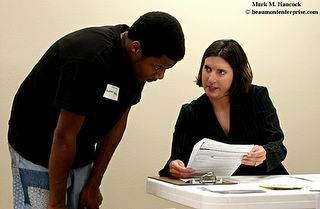 (Above) Quentin Hockless (left) confers with Janee White, lead youth specialist at the Texas Workforce Commission, (right) during the Power Zone and Beaumont Housing Authority's summer job fair at the BHA office in Beaumont on Friday, June 3, 2005. 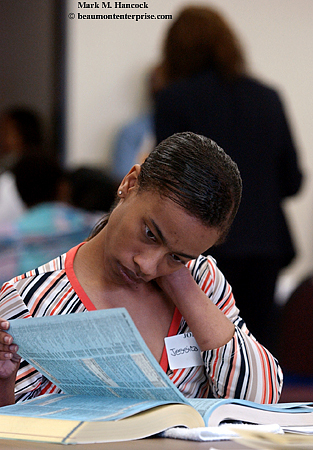 (Right) Jessica Francois of Beaumont studies information in the phone book during the Power Zone and BHA's summer job fair at the BHA office in Beaumont. 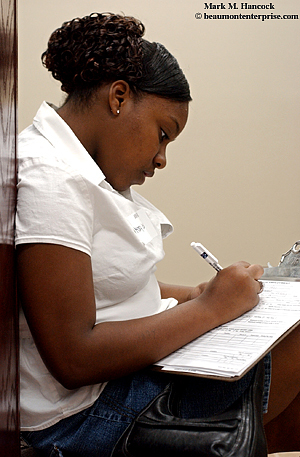 (Left) Mary Lewis fills out a job application during the Power Zone and Beaumont Housing Authority's summer job fair at the BHA office in Beaumont. 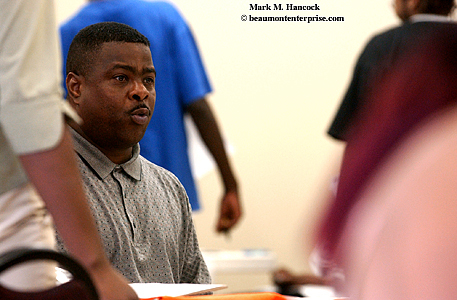 (Below) Wilbert Brown, director of financial aid for the Texas Careers Beaumont Campus, talks to job applicants about educational programs during the Power Zone and BHA's summer job fair at the BHA office in Beaumont. 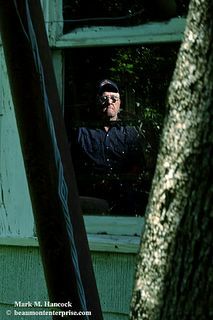 (Left) James A. Hodges, 63, looks through the newly-replaced window of his home in Beaumont on Thursday, June 2, 2005. On Wednesday, he awoke to the crash of someone breaking into his home. The 36-year resident of the home fired two shots from a .25 caliber semi-automatic pistol out the window. One bullet lodged into a tree outside his window, the other bullet couldn't be traced after it left the bedroom. (Below) Hodges points to one bullet hole in a tree outside his bedroom window. 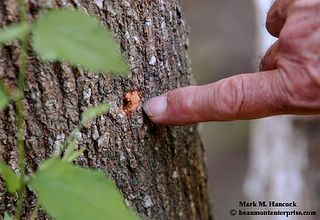 Although two bullets grazed the window frame within an inch of one another while he was defending himself against intruders, only one bullet hit the tree. Deadline pop quiz: Where in the AP Stylebook can a journalist find the guidelines to write the type of gun used? 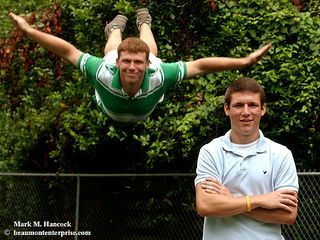 (Above) Brothers Jeremy (left) and Matthew Garza (right) pose for a portrait at their home in Beaumont on Wednesday, June 1, 2005. Jeremy will enter his senior year at the U.S. Naval Academy this year and hopes to become a pilot. Matthew was also accepted to the academy and will begin his training in the fall. (Right) Brothers Matthew Garza (top) and Jeremy (bottom) pose for a portrait at their home in Beaumont on Wednesday, June 1, 2005. I should have fill-flashed the top image to set the details of his face better. I thought I was shooting fast enough, but I guessed wrong. You live, you learn. This is a fairly good example of using 100 frames. After the standard "safe shots" of them standing in the front yard, I was forced to think of ways to show these men are in the Navy. They didn't have any military paraphernalia, so I needed to be creative. I like the pilot idea, even though it's not to my satisfaction. The pool shot looks like a swim team sportrait, but Navy = water and the pool was available. The point is to make the portraits look drastically different. A feature story tends to get more space to flesh out the information. This means the story jumps (refers to an inside page). If portraits look too similar, it would be redundant to have a second portrait inside. However, if the portraits are different enough, a second image can run on an inside page. Since inside pages tend to be gray space receptacles (text only), it's good to break up the monotony. For magazine freelancers, who are paid on space rate, a good business practice would be to maximize your income by providing multiple, non-redundant images. Yes, the subject is the same. But if the images look different enough, it means the PJ gets twice the space fee for a few more minutes of work at the same location. Deadline pop quiz: Where in the AP Stylebook can a journalist find the guidelines to write the name of military educational institutions and its students? Please see the Photojournalism Contest Calendar for these and additional contests.